FMS serves as a reservoir of intellectual minds learning, exploring and researching a plethora of interdisciplinary subjects. The closely knit departments of the University facilitate the exclusive exchange of ideas, thoughts and consultations among students, research scholars, and faculty members across the academic units of the BHU family, an advantage no other university can boast of. The integrated working of the university enables students to join (programs that equip them for the corporate world/personality enhancing programs) like Foreign Languages, courses at the Faculty of Visual Arts, Faculty of Performing Arts concurrently. The Central Library is the ultimate heaven, for any person in search of knowledge, with an unimaginable 1.5 million books, numerous journals, magazines, weeklies, newspapers in different languages; and to add to that, 115 departmental libraries. The accessibility to this behemothic pool of information is probably the most sought after advantage at FMS BHU. There are health centres for students and staff members located all across the Campus providing health care services 24X7. The SS Hospital in the University is equipped with the latest technology and modern treatment facilities. These are available for free(concessional rates) to the students, scholars and staff members. Besides, Swatantrata Bhawan the main Auditorium of the University with exhibition space, senate hall, there are many other auditoriums, seminar halls, conference halls are available in the University Campus. Several play grounds, stadia, Indoor stadia, Amphitheatre, Tennis courts, Squash courts, Volleyball courts, Basket ball courts, swimming pool, mountaineering club, Flying club, etc. are there to cater to the sportspersons needs. The university facilitates its students with able coaches and practice space to compete at the various levels of tournaments. Besides Shivaji Hall Gymnasium, there are several other facilitations for maintaining the physical wellness of the university community. BHU is a smaller world with all cultures, nationalities, and diversities coming together to create the wealth of knowledge. The Vishwanath Temple is one of the major places of attraction in the University not only for the university community, but for the tourists from across the globe. Bharat Kala Bhawan Museum is another cultural attraction housing a host of Indian art forms exhibiting brilliance throughout the year. Madhuban is one of the parks in the Campus. No alumni of the University will forget the moments they spent in this beautiful part during their student life in the Campus. Proctorial services maintaining the law and order within the campus plays vital role in controlling social menace like ragging, Hostels, Transportation for students, 24 hour electric and power supply, over 6 branches of nationalized Banks, ATMs, 3 Post Offices, Telephone exchange, Railway Reservation Centre, and a lot of other facilities. The Campus, located in the heart of the city with life bubbling with young energy, eateries, and its proximity to the famous Ghats of Varanasi, give BHU the locational advantage with scenic beauty and ample recreation at its doorstep. It is well connected with other parts of the world through Varanasi Airport, Railway Station, Bus Station besides having its own Airstrip for micro-light planes and Helicopters. Faculty is an integral part of the Banaras Hindu University - A Central University established through Parliament Act NO. XVI OF 1915. 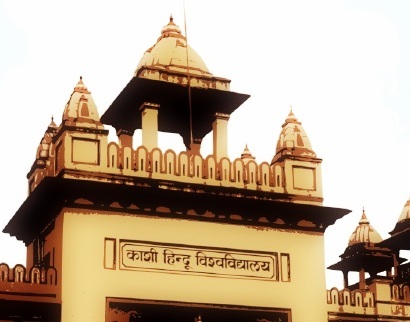 Banaras Hindu University. The university provides plethora of facilities that are open for the entire family of BHU. These include Swimming Pool, Stadiums, Flying Clubs, Athletic Tracks, Playgrounds, Museums, Big and Small Cafeterias located at various points, Health Care Center, Residential Houses, Guest Houses, etc.The lush green surroundings, well-maintained roads and the Vishwanath Temple within the campus, make the entire milieu of BHU tranquil and pious. BHU proudly boasts of its Central Library, which is one of the largest libraries in the country. The University also gives various opportunities to undertake and develop new hobbies by offering various courses on Foreign Language, Fine Arts, Music, Yoga, etc. 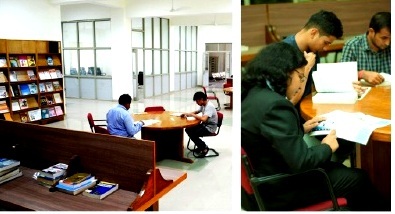 Apart from the departmental library, the faculty has three air-conditioned seminar rooms/conference halls and various smart classrooms with audio-visual facility. A private chamber has been provided to every Faculty member and free internet facilities have been provided to one and all in the premises of FMS. The Faculty has its own Management Hostel, well-equipped with internet and mess facilities, gym, and 24-hour water and electricity supply, providing accommodation to 120 students.